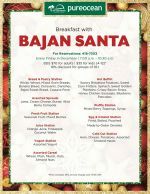 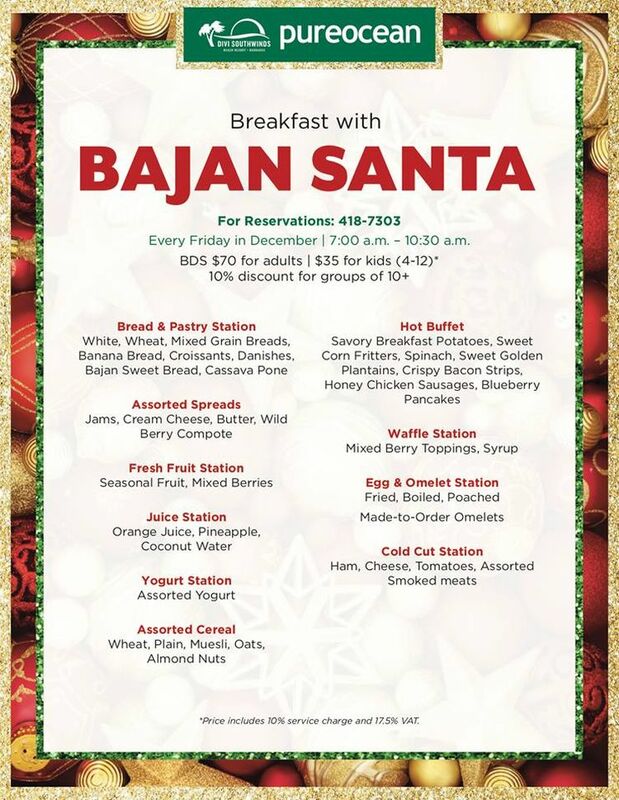 Divi Southwinds invites you to experience Breakfast with Bajan Santa and The Taste of Xmas Lunch at PureOcean every Friday in December. See 2 attached flyers for menus. 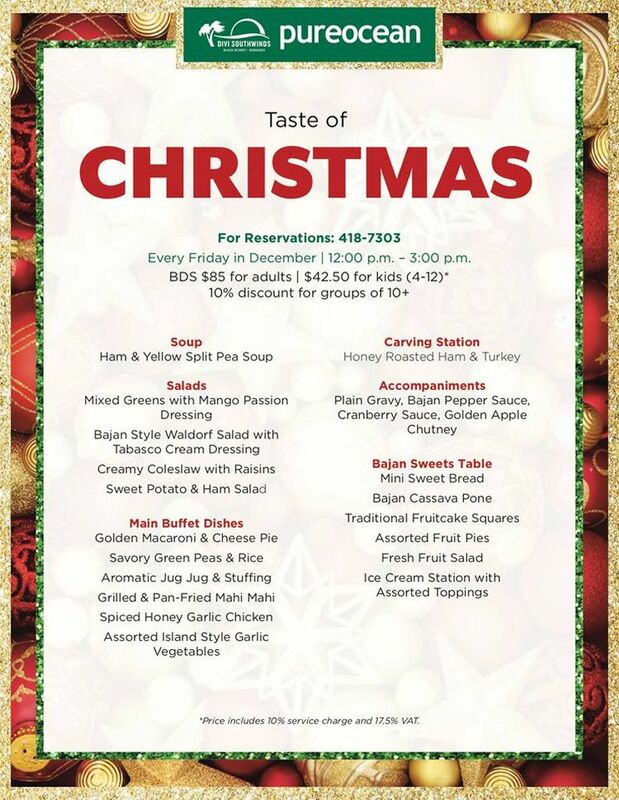 Prices are inclusive of VAT and Service Charge.